We are among the leading Manufacturers, Exporters and Suppliers of Petals Almond Vanilla Herbal Shampoo in Rajasthan, India. 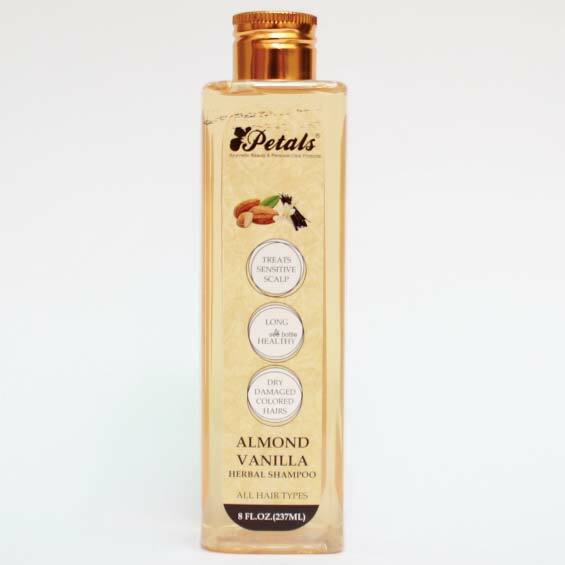 The Petals Almond Vanilla Ayurvedic Herbal Shampoo has excellent conditioning properties and is best for dry and brittle hairs. Made as per stated quality norms, it restores liveliness making hair glossy soft and manageable. Buyers can get Petals Almond Vanilla Herbal Shampoo in bulk at feasible rates, from us.